During 2008 the Commonwealth Bank made loans totalling $13.5 million to Matthew Perrin, his wife Nicole and their family company. Among other securities, the bank relied on guarantees and mortgages apparently signed by Nicole. Some of these encumbered Perrins’ (previously unencumbered) sprawling Cronin Island family home held in Nicole’s name. Within six months Matthew, but not Nicole, was bankrupt. When the bank eventually sued Nicole under the guarantees and mortgages for $10.7 million outstanding, she claimed her signatures were forgeries. The bank’s case rested on several bases: Firstly, the signatures were Nicole’s. Secondly, if Matthew signed instead, he had authority under a Power of Attorney. Thirdly, Matthew signed under an implied authority. Fourthly, Nicole ratified the transactions and documents. Fifthly, the bank claimed an equitable mortgage by receiving Nicole’s title deed. When Matthew and Nicole married in 1996 she was the beautician daughter of bookmaker Laurie Bricknell and he was a newly-admitted-and-top-of-his-class solicitor, soon to join a Gold Coast law firm with his two brothers. In 1998 Matthew began representing clothing business Billabong. After acquiring an interest in this profitable enterprise he ceased legal practice to become its full time CEO. When the business was publicly and very successfully floated Matthew and Nicole became fabulously wealthy. Matthew later sold his and Nicole’s Billabong shares, and left the company to manage their investments. By 2007 Business Review Weekly put the couple’s net worth at $132 million. Nevertheless, Matthew’s ill-fated investment forays into a string of Chinese supermarkets ensured his financial demise two years later. In court Nicole swore she first knew of the forged documents in January 2009 when Matthew confessed he was “broke”, had “done a lot of bad things” and was “going to jail.” She told him not to worry because, whatever happened, they would have the house. Suddenly joined by her father and Matthew’s brothers, Matthew sat on the floor shaking and crying: “I’ve mortgaged the house”. He then told brother Fraser he was implicated as witness on the mortgages. That same day, Nicole instructed the bank to transfer $10.6 million from the company account to her account. Nicole explained to the court that she earlier thought Matthew was leaving her, she checked with the bank, was shocked by the company balance and effectively emptied the account. After she told Matthew this, transfers occurred between accounts. But over $4 million remained in hers. Nicole’s father told the court he recalled Matthew admitting he had forged Nicole’s signatures. 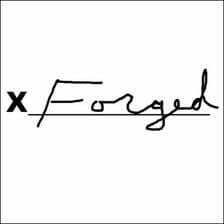 Fraser had no recollection of Matthew using the word “forged”. The judge ruled that Matthew had no implied authority from Nicole to sign for her. By freely permitting him to manage business assets (apart from their racehorses) Nicole in no way indicated he could deal with her home. Regarding ratification the bank pointed to no positive act, but rather, to Nicole’s two months’ inactivity after learning of the transactions until her solicitors told the bank her signatures were forged. This argument failed because it was contrary to precedent that a forged document might become binding by an innocent party’s ratification, and because Nicole’s silence exhibited no intention to be bound. The bank’s equitable mortgage argument also failed because Nicole’s title was delivered to the bank without her authority. Although the judge regarded Nicole as a not “entirely reliable” witness with some of her recollections being “less than accurate”, the bank could not prove her untruthfulness on the core questions. He consequently found, on the balance of probabilities, that she did not sign the critical documents. This couple’s strained personal circumstances, combined with the financial pressure bearing on Matthew, enabled His Honour to recognize an obvious explanation, but no excuse, for Matthew’s deciding to forge his wife’s signatures. To comment on this article, please return to the Australian Real Estate Blog.